What’s not to love about The Red Table Restaurant? 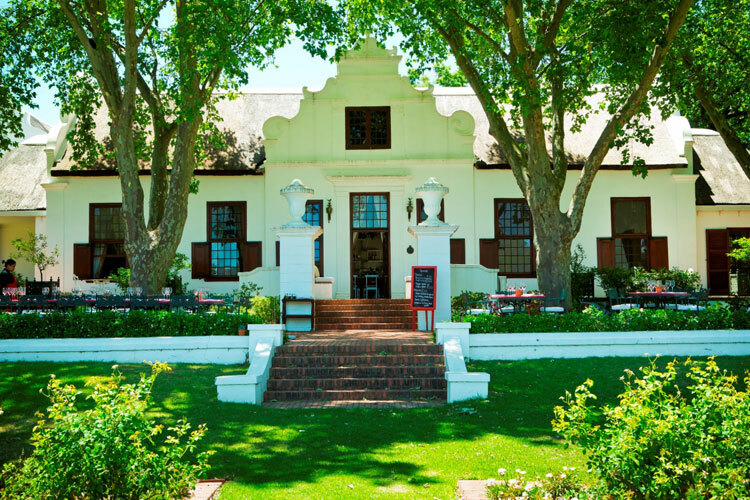 Hosted in a Manor House at the Nederburg estate, the restaurant is known for attracting travellers from the Paarl wine route – read on and discover why this eatery is one worth visiting. Just the restaurant’s outdoor appeal is enough reason to visit. As you stand outside, you’ll experience the enchanting garden’s beauty in all its glory. The charming vineyard and lush greenery provide the perfect spot for visitors to enjoy a leisurely meal, all the while taking in the magnificent scenery. While the estate’s garden might be the cherry on the cake, The Red Table Restaurant is where you’ll want to dig in, as there is so much to absorb when you walk into the country-style restaurant. From the dimly lit chandeliers that light up the wooden ceiling, to the antique furniture, you’ll feel as if you are travelling back in time. The historical images and photographs that hang along the walls of the Manor House only add to the restaurant’s historical atmosphere, while the warmth from the fireplace makes it so much more than a lunch spot during the winter months – it’s ideal for dinner too. The locally sourced and light bistro-styled menu pairs well with the style of the Manor House. Many have praised the menu for its decadently made grilled lamb rump, accompanied by crème fraiche baked sweet potato, sautéed seasonal veg, and white wine rosemary. Let’s not forget their vegetarian homemade tagliatelle that is mixed wild mushrooms and parmesan shavings – too delicious. Aside from the mouth-watering main dishes, you can end off your three-course meal with one of The Red Table Restaurant’s delectably good desserts, such as the cardamom-infused orange crème brûlée served with lavender biscotti. What makes the menu really worthwhile, though, is the incredible selection of wines that complement the dishes. With so much on offer, it’s almost impossible not to want to visit and sample some of the fare available, not to mention washing it all down with a glass from the spectacular range of affordable Nederburg wines. Friendly, knowledgeable waitrons welcome you warmly and enhance your dining experience with their impeccable service. 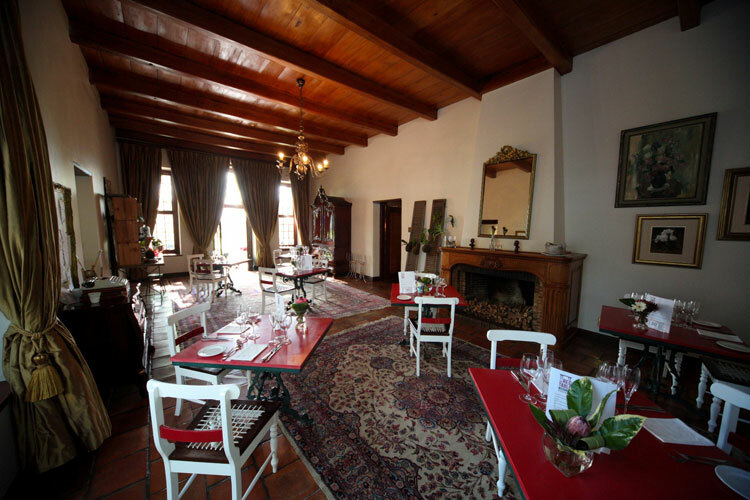 When exploring the Paarl wine route, be sure to add The Red Table to your list of places to visit – your wine route excursion would be incomplete without enjoying this rare dining experience. So it is safe to say that The Red Table Restaurant is one of a kind, as there are few places where one can dine while experiencing such a charming view and being surrounded by an abundance of history and beauty – the mouth-watering meals are an added bonus.